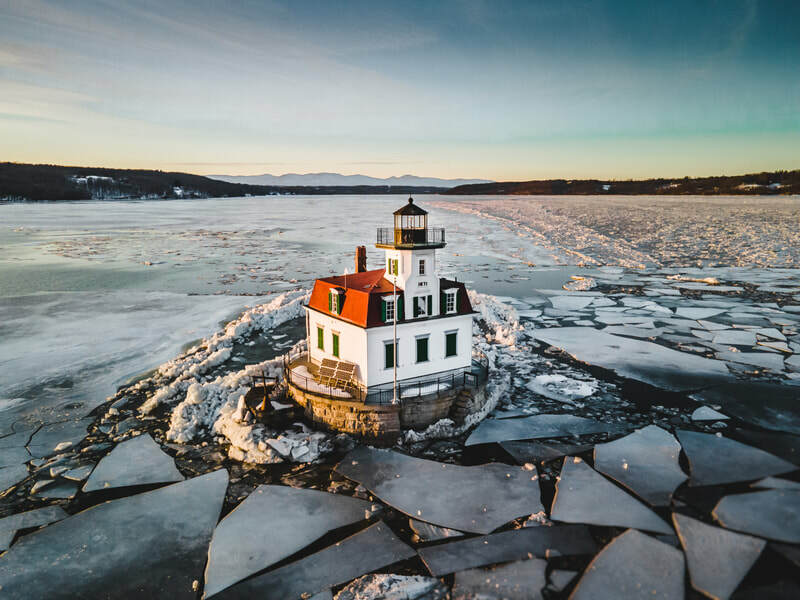 The Hudson River is located in the heart of lower New York State and connects the Adirondack Mountains with New York Harbor. 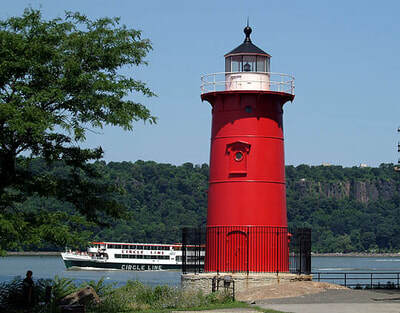 A major water highway throughout the history of human habitation, the Hudson River began a transportation boom with the opening of the Champlain Canal (1823), Erie Canal (1825) and Delaware & Hudson Canal (1828). 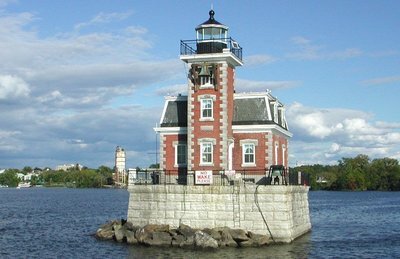 Almost all of the lighthouses constructed in the late 1820s and 1830s on the Hudson River were a direct reaction to the opening of these canals. 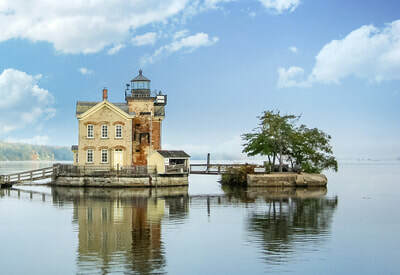 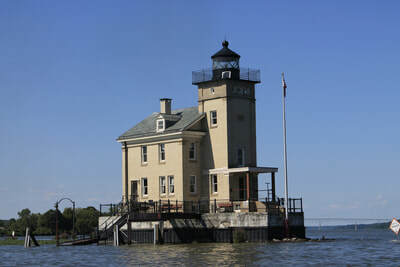 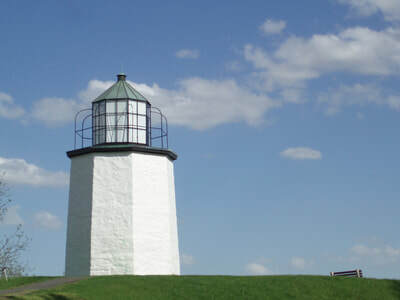 Unlike coastal lighthouses whose towering heights were determined by the distance of ships out to sea, lighthouses on the Hudson River were usually only two or three stories tall and often included living quarters for keepers and their families within the lighthouse structure. 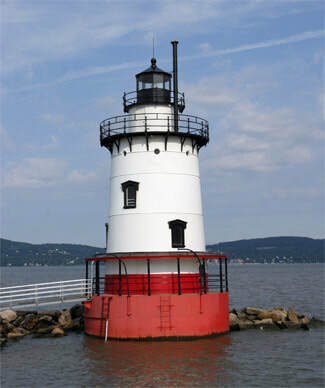 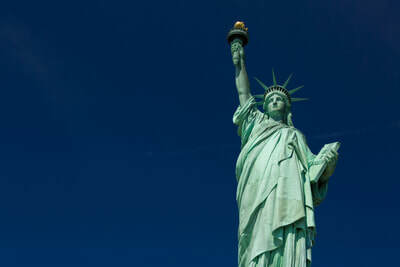 Of the dozens of lighthouses that once dotted the shores of the Hudson River, only seven remain, with the Statue of Liberty in New York Harbor the eighth lighthouse keeping watch at the mouth of the Hudson River.